When Will Tesla’s Solar Roof Make It’s Australian Debut? Tesla, founded by Silicon Valley entrepreneur Elon Musk, is one of the most well known solar companies in the world today. The company is most famous for its solar powered vehicles, which have defied all expectations in becoming popular and economically viable alternatives to fuel powered cars over the last few years. The next step for Tesla is to continue their product development and launch an electric car model that is more affordable to the mass market while maintaining the performance of the solar powered vehicles (this lower cost model is already in production). Tesla’s success is not restricted to the USA, with people from countries all over the world taking note of the successes being gained in the solar power space. Naturally the success of Tesla vehicles has led the company to innovate and diversify into solar panel and solar power systems. Earlier in 2017, Elon Musk presented a true innovation of a typical solar panel system in what is a ‘solar roof’ made up of individual solar tiles. These solar tiles are aesthetically pleasing, durable and most importantly, generate power. While the concept and idea of the solar roof is superb, there is of course the question as to whether it is currently viable for Australians to embrace. At the moment, the ‘solar roof’ is not available in Australia, however we will be looking at what the cost implications might be, estimated time frames for this technology to reach Aussie shores and a look at the initial performance reports from the US. Current estimates show that the cost of the solar roof in its current form is not economically viable when compared to a traditional high end (terracotta tiles) roof with solar panels installed. Now the maths from several analysis’s have been estimated based on the exchange rates between the US and Australia, however the consensus is that a ‘solar roof’ vs a ‘traditional roof’ with solar panels installed will come out about 1.5 times more expensive. It is important to remember a few things. Firstly, the solar roof is geared towards the high end market meaning that the ‘aesthetic’ and the ‘cool’ factor play into the purchase just as much as the economics. Secondly, this is the first generation of the solar roof, which means as the technology develops and as the costs come down we will see the economics begin to come into line. The pricing pattern fits Tesla’s car business model with the first model of electric car, The Roadster, being a toy car for the super rich and not really economical. After several models, Tesla is moving the newer models to the affordable price ranges for the everyday family. We are seeing a similar pattern emerge for the solar roof. At the moment, Tesla has been allowing Australian customers to pre-order the solar roof over 2017 and is looking to allow the first installations of the solar roof to commence in 2018 – very exciting times if you are planning your renovations during this period. As far as the ‘cool’ factor goes, having a Solar Roof installed onto your home in Australia is definitely a winner. Aesthetically the solar roof looks superb and you are also scoring a lot of green environmental points with it too. As we noted above, the economics from several reviews online, do not quite add up just yet in the Australian market, but they will, we predict, in the coming years. 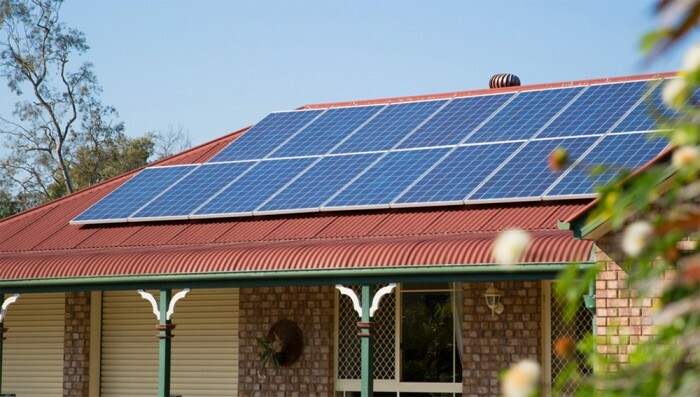 Traditional solar panels are still the more cost effective option which the majority of Australians will take note of. Of course for the very wealthy, the cost effectiveness may not be as much of a factor, so expect to see a few of Tesla’s solar roof installs popping up during 2018. 7 Wharton Rd, Kewdale WA 6105, Australia.